If you are worried about bacterial infections such as MRSA, E-Coli and Salmonella or even Swine Flu, call Merry Maids for unique anti-bacterial protection for your home. Ask us for information on how to help protect yourself and your family, as well as give an unrivalled cleaning service. We can deep clean and help protect your home against the spread of infection by using our specialist cleaning products and customised cleaning processes. 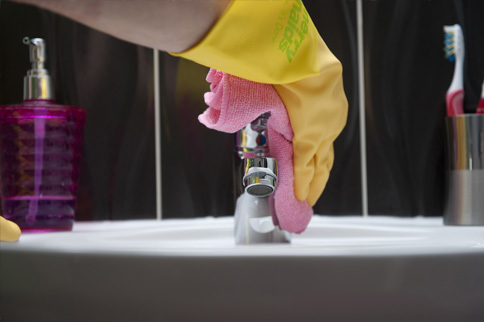 Using specialist products that have been tested and certified against the likes of C-Diff and MRSA, we can deep clean your entire home to help protect against the spread of disease. Merry Maids’ specialist products and processes, combined with the Merry Maids Guarantee, ensure that we are at the forefront of helping to stop the spread of infection. If you or a family member has been affected by a bacterial infection and you want to help stop the spread of germs within your home, contact Merry Maids now and let us start looking after your home.